Home » Roswell Alien Photo Slides To Be Released: ‘Smoking Gun’ Evidence Of 1947 UFO Crash? Roswell Alien Photo Slides To Be Released: ‘Smoking Gun’ Evidence Of 1947 UFO Crash? Roswell UFO researcher and author Tom Carey made headlines a few months ago when he told a crowd at an American University panel that he has photographs that are “smoking gun” evidence proving aliens are real. Today, more information about the photos were released on an online press conference, and the date set for when the photos will be revealed. The press conference was sponsored by Jaime Maussan, famous Mexican journalist and UFO investigator. On his website, TercerMilenio.tv, Maussan hosted an online press conference, and has been promoting the release of the photos as part of an event that will be held at the National Auditorium in Mexico City on May 5, 2015. 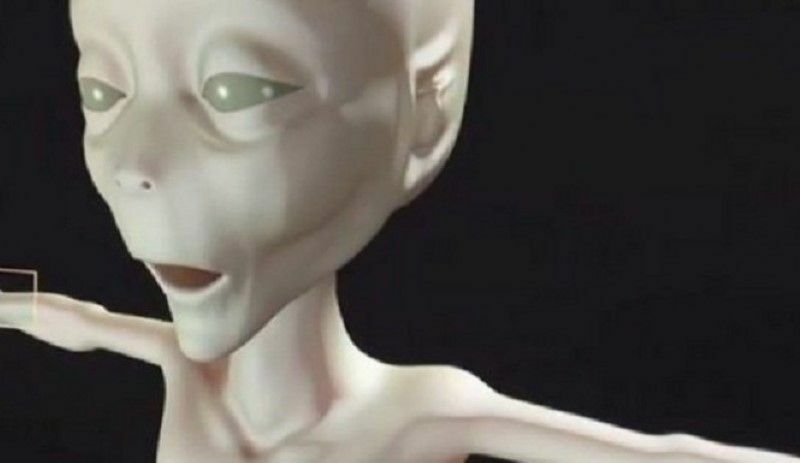 Tercermilenio’s YouTube channel posted several interviews and videos that shed more light on the background of the pictures, and include an animation of what the aliens may have looked like. There is even an interview with astronaut Edgar Mitchell who is from Roswell and says he believes an alien spacecraft really did crash in the area in 1947. The interview that gives the most insight as to how the pictures were discovered is from a man named Adam Dew who says he is friends with the brother of the woman who found them. He says that his friend’s sister found them in 1989 when she was cleaning out the house of a deceased couple in Arizona. She was getting the house ready for an estate sale. Among the items that she was asked to take to the dump was a box full of photos. She decided to keep the box and took it home and put it in her garage. She did not look at the box again for ten years. When she did, she found some great pictures from all over the world, some of which included famous people. People such as Clark Gable, Bing Crosby, and even President Dwight Eisenhower (some of these pictures can be seen in the video above). Part of the box had been water damaged and was falling apart. This lead her to find a couple of slides that were stashed away and wrapped up separately. She unwrapped them and saw they depicted what appeared to be an alien. Eventually, Dew and his friend found their way to Carey and his research partner Don Schmitt. 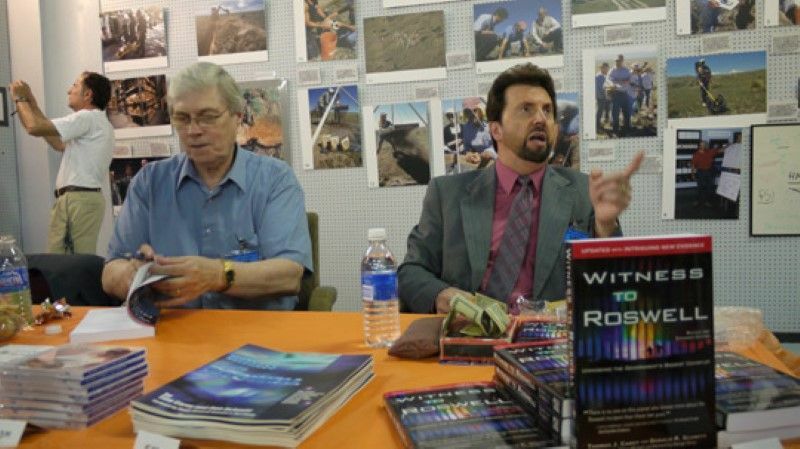 They are two of the current top investigators of the Roswell UFO incident. Carey says they took the slides to a historian with Kodak and verified that the slides were manufactured in 1947. Furthermore, the sleeves the slides were in are the type used by Kodak from 1942 to 1949. Carey says it has a frail body, over sized head, two arms and two legs. It is partially dissected and the head has been removed from the body. The alien appears to be lying on an army blanket. Mitchell, who was part of the Apollo 14 mission and the sixth person to walk on the moon, says he grew up in Roswell. He says he returned to Roswell after he had went to the moon and several people told him that the Roswell UFO crash was real. This included a Major who was a friend of the family. Although the images were not posted today, one video shows an illustration of the alien based off of what the slide shows. Anthony Bragalia, who claims he helped with the investigation of the photographs, gave more details about the deceased couple who owned the house where the pictures were found in a recent story for The UFO Chronicles. He says their names were Bernerd and Hilda Blair Ray. So now the stage is set. Will the photos deliver on the high expectations that have been set? We will have to wait for Maussan’s Cinco de Mayo event in Mexico City to find out. Meanwhile, Maussan will be speaking at the International UFO Congress in Arizona later this month. He is sure to talk about the photos and create more excitement for his event in May. After posting this story, this video came to our attention. It is done by one of the experts looking into the slides. It is full of compelling information regarding the slides.